Archival giclee open edition print of oil paintings created by me, Leanne Peters and written by Healer/Writer Sandra Diamond. Printed on Epson Watercolor paper using archival inks and is shipped with a backing board in a plastic sleeve. 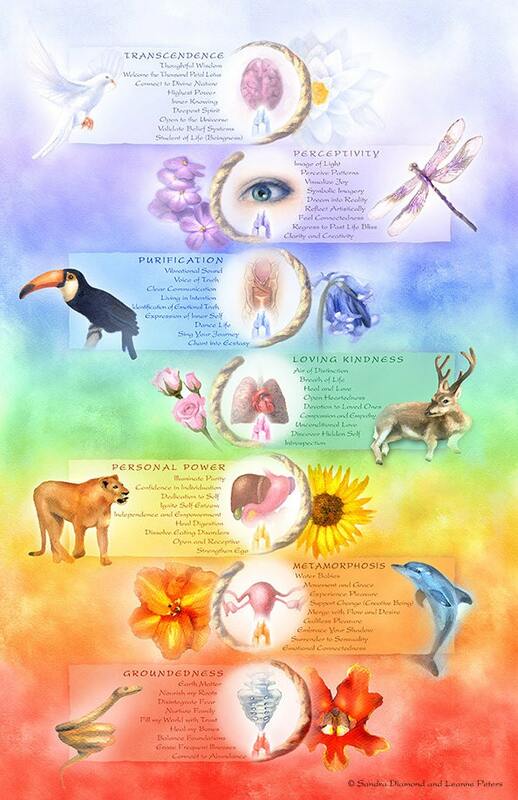 This colorful print illustrates the chakras of the body and expands with verses. It is appropriate for novices and enlightened souls alike.